A lot of people have stories of hunting their white whales in loot-focused games. It might be that the process is long and arduous, so even a 10% drop rate feels far too low, or it might be so low that, no matter how many times you try, it’s like trying to brute force winning the lottery. 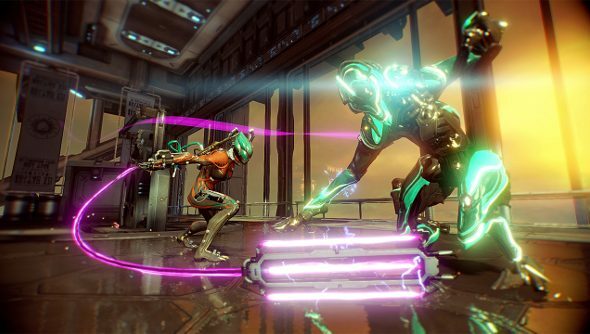 Warframe is exactly one of those games – and even if you want to cough up some cash, some items seem impossible to get. Need more of the best free games on PC? That impossibility has now been quantified as the developers have put out drop rates for every single bit of loot in the game. It’s put together using internal data, and as it’s official, it’s pretty reliable – although even the developers admit that it’s not wholly accurate for the rarest drops. Anything classed as “Beyond Legendary” has its drop rate “Under review” – it’s possible that the 0.09% drop rate isn’t entirely accurate, but it’s hard to get the data to prove any statistical significance. If you’re playing, it might be a useful resource to find out which white whales are worth letting go, a 0.09% drop rate is less than one in every thousand drops. One in a thousand isn’t odds I’d typically bet on. You can check out the full (and extensive) list of drops, plus their drop rates, right here. Be warned: it is a very, very long list.